← 30in30 : What Makes A Family Anyway? Stories will be told. And Retold. More people will join and leave this journey. But for all practical purpose, as I pack my bags to go to India, I will call the journey concluded. In California! 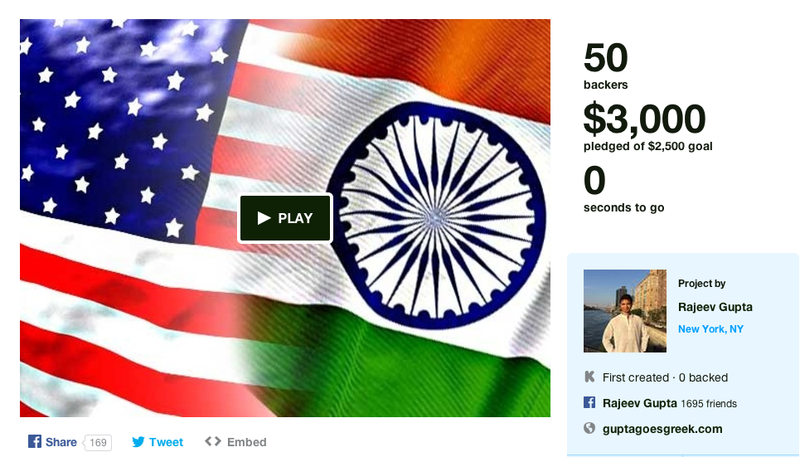 And thanks to all of you, we raised $3000 through kick starter! Posted on August 8, 2014 by rajeevgupta	• This entry was posted in Discovery of America. Bookmark the permalink. We miss you already Rajeev.